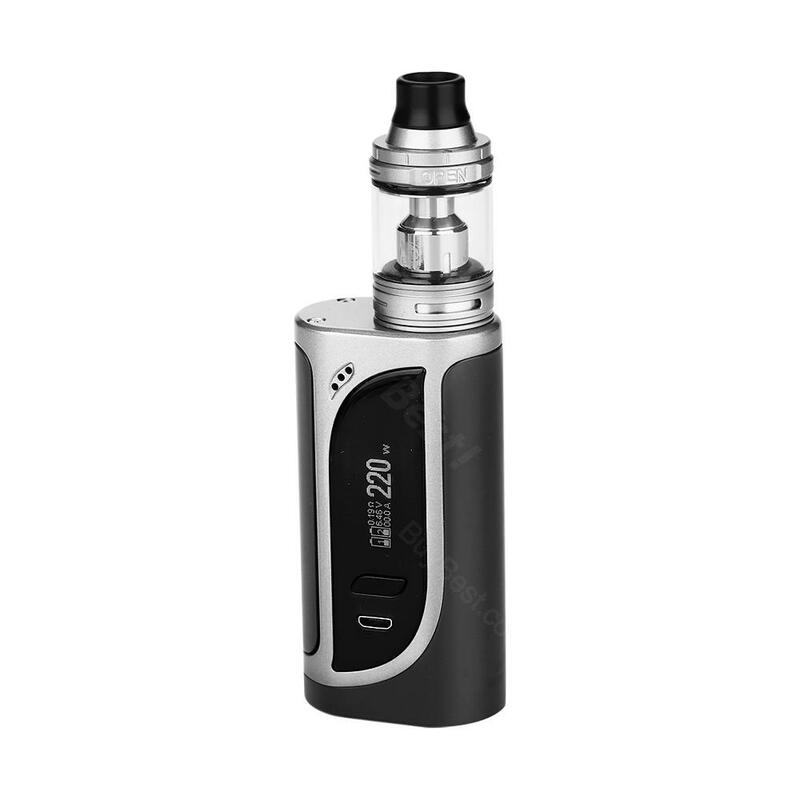 Eleaf iKonn 220 is a powerful starter kit that powered by dual 18650 batteries with max 220W output power. It comes with a compact iKonn box mod and a 4ml/2ml Ello Atomizer. With included HW3 and HW4 coils, the iKonn 220 TC kit is a good choice for cloud chasers. Six attractive colors for your selection. Eleaf iKonn 220 with Ello is a stylish and modern starter kit with maximum power of 220W, providing you massive vapor production. The iKonn 220W is a dual 18650 temperature control box mod that packs big 0.91-inch screen, 2A fast charging, preheat function and dual circuit protection. iKonn 220 by Eleaf can be used as a power bank with an optional reverse charging adapter. The Ello sub-ohm tank adopts convenient retractable top refill design and cloud chasing HW3/HW4 coils. All make the Eleaf iKonn 220 TC kit a good choice for all vapers. • It works with two 18650 batteries. You can choose lithium-batteries. • You can buy HW1 0.2ohm coil/HW2 0.3ohm coil/HW3 0.2ohm coil/HW4 0.3ohm coil. • Eleaf iKonn 220 Box MOD and Ello 2ml/4ml atomizer are also available. • With a Reverse Charging (RC) adapter, the iKonn 220 can work as a power bank. • Click download to get the certificate: CE, RoHS, FCC, EMC and other certifications. • If your iKonn 220 MOD can't work well with high resistance coil, please upgrade your device with the firmware. All great! To Barnaul two weeks! In excellent condition. Ordered the seller has two pieces. All advise. Responsive. Recommend it and store!!! Maud came not a worker. Half returned without problems. The tank is great. Maybe we just didn't get lucky. Good price. Good service. I'd love to purchase my vaping device at Buybest. Sehr schnelle Lieferung und soweit alles super, leicht zu bedienen und fruchtiger Geschmack ich möchte Eleaf iKonn 220 nicht mehr missen. iKonn 220 kit is amazing. I love the HW Coil at 60 watts, with wide airflow, huge clouds. If only they make the screen brighter. A little dim. I really love this little kit. But you have to be careful, close the airflow hole or shutdown the mod when you don't use it. The juice flooded at beginning. I'm happy with iKonn 220 with Ello Atomizer. Big power, massive clouds. The only thing concerns me is the battery cover being a little loose. Not very big problem though.